A 19th-century folly inspired by Stonehenge. Reparations paid by the Chinese to the US following the Boxer Rebellion were used to open Tsinghua University in Beijing on 11 April, 1911. In the first games, which began on 6 April, 1896, 241 athletes from 14 countries competed in 43 events. The Reinheitsgebot was adopted on 23 April 1516. Kate Wiles on Auldjo’s artistic map of Vesuvius across 200 year of major eruptions. What is the soul, where does it come from and where does it go when we die? Such questions have continued to fascinate since the early modern period, and have resulted in surprisingly creative answers. 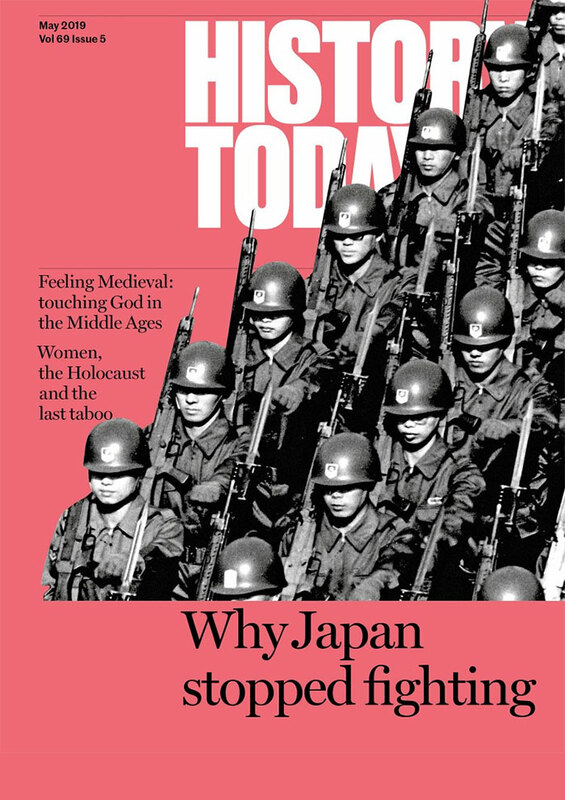 Angered by his native country’s rush towards western-style modernisation, the acclaimed Japanese author committed a shocking act of protest. As Britain got hooked on tobacco, smoking paraphernalia became ubiquitous. Items such as tobacco boxes provide an insight into the anxieties and aspirations of the early modern psyche. Despite its popularity in France, the political memoir took a while to get going in Britain. It was Lord Clarendon’s epic attempt to make sense of the turbulent 17th century that slowly set the ball rolling. In the absence of a European democratic model, the Founding Fathers turned to the apparently perfect state of the Iroquois Five Nations as a template for a federal United States, combining the best of both worlds. Few episodes in the history of the British Labour movement have been as mythologised as that in which six Dorset farm labourers were shipped to Australia for their trade union activities. Iran, despite its conquest by the armies of Islam, retained its own Persian language and much of its culture. 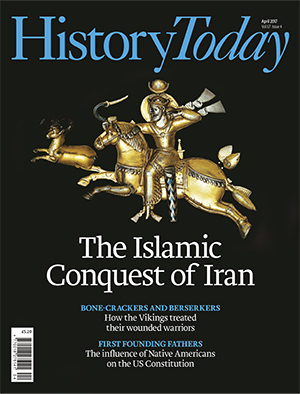 Khodadad Rezakhani examines the process by which a Zoroastrian empire became part of the Islamic world. The Hydra, a magazine produced by shell shock patients, was pioneering as a mental health care treatment. Seeking a new life when poverty forced them from their homes, Victorian emigrants were at the mercy of others.